It proved to be a deeply disappointing experience. Not because of anything wrong with the game, but because the beta offered such a small sliver of it as to be entirely pointless. Having also played the beta I can see where he’s coming from. For someone who never played the console original, there was no tutorial or explanation of what was going on, you are more or less just thrown in and told ‘go’. And there was only really the intro run and a single PvE mission to try out (unless you like PVP). In fairness to Bungie it was meant to be a beta, not a free ‘check this out’ weekend, or an introduction to the game. However unfortunately for Bungie that’s exactly how a lot of PC players treated it, especially those that always wanted to play Destiny but never owned a console. For those players, it was a bit of a mystery how everything worked, but like any shooter it’s pretty quick to pick up the basics. And I assume the full release will offer a much better paced introduction to the concepts. I had played Destiny, on PS4, and admired how the game looked and felt, but as usual found a controller hopeless for FPS shooters. So I was super pleased to hear D2 would come out on PC. It seemed to play pretty much exactly the same as the original, though apparently there have been (controversial) changes to loadouts and how you can equip certain weapons. It’s a fast paced, in your face gun shooter, with hordes of faceless aliens and the occasional boss. After playing the intro I didn’t feel particularly compelled to keep going, but I queued up for The Inverted Spire, the only ‘Strike’ (aka dungeon) available, and I’m glad I did. 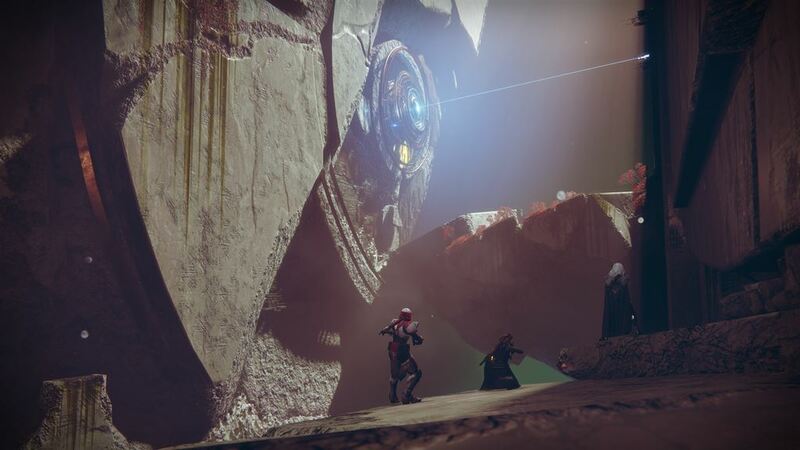 It was a great showcase of what I assume is D2’s best content (other than raids), a three player fight against the environment and some nasty bosses. It was surprisingly lengthy, and surprisingly challenging in parts. My pug was silent but helpful, rezzing when you were down and even sticking around to retry the boss when we wiped. It often looks spectacular, particularly some of the set pieces. 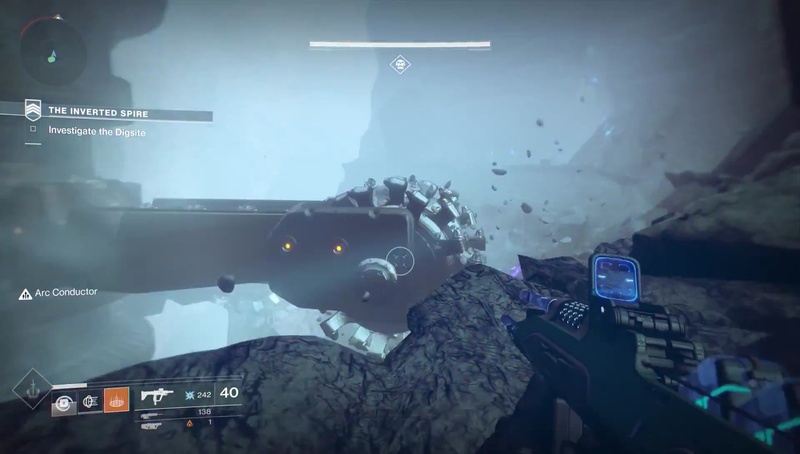 Massive – really massive – mining equipment grinding a pit into the ground was a highlight, as was coming up against the final boss who drops you through floors and takes a lot of shooting and agility to take down. My main disappointment is not being able to convince any of my gaming friends to even try the beta. As usual, the social/schedule boss is the hardest to defeat. It seems like the kind of game that would be excellent for a three person team to challenge, particularly if the dungeon quality is maintained throughout. 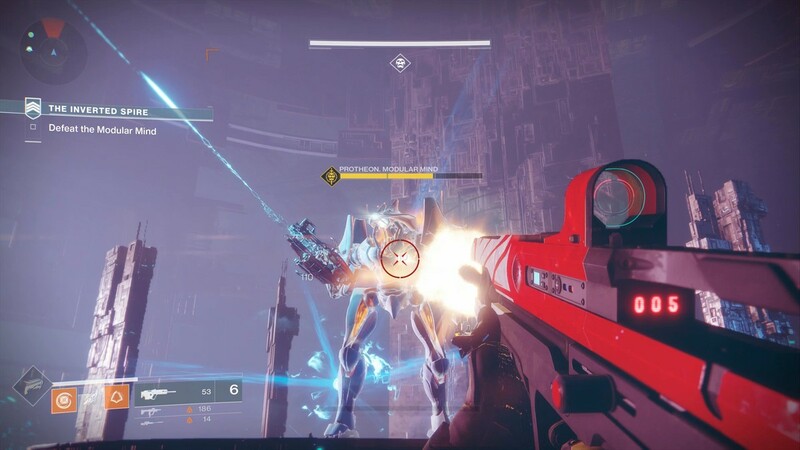 Bungie are spending a lot of time emphasising that D2 missions and raids should require planning before attempting, so a good team and good comms seems like being essential. So it’s a solid ‘maybe’ – with three like minded players I can imagine it being a compelling challenge, but as a solo player it probably doesn’t offer enough gameplay variation.